Lately we have been blessed with a new generation of affordable smartphones packed with great performances (Moto G, Nexus 5…). The Asus Zenfone 6 can be included in this club and probably deserves the crown of best affordable smartphones/phablets. Thank you for reading dadmadeinbritain.co.uk: this is my full review of the new Asus Zenfone 6. Asus want the Zenfone 6 to be their flagship, and they have done a lot of things right...starting with the retail box. It’s hard to be excited by a ‘box’, but I really like what Asus has done with it. I love the simple design and the great minimalist black and white picture on the front. On the side of the box, there is a clever addition: 7 dots that shows you the most important features of the Zenfone 6 (13Mp Camera, Bluetooth,etc…). When you slide and open the box, you are greeted by the ‘huge’ Zenfone6. Inside the box there is the charger, micro usb cable, earbuds and user manuals. Each accessory has a premium feel which is a good start. The first impression is great! Well done Asus. The design team at Asus has done something really good, because the Zenfone 6 is a beautiful device. It is a large phablet with a big 6” display. It weighs 196g but it doesn’t feel heavy. In fact it feels much better to hold than other smartphones. At the moment I am using the Blackberry Z30 (review coming soon). The Z30 weighs 170g but it feels heavier than the Zenfone 6. Asus has decided to go with a matte plastic back and I think they have made an excellent choice. It has a curved back and it reminds me of a big Moto G but with a more Premium feeling! The back is really minimalistic with the camera lens, the LED flash, ASUS logo (in silver) and the speaker grill. On the right side, there is the power button and volume rocker. The buttons are made of metal and they feel really great. On the top of the device you can plug your headphone jack and at the bottom you will find the micro usb plug. Now about the front of the device: I already said that this phone is a beautiful device. I absolutely love what Asus has done with the front of it. Slim bezels, silver/metal Asus logo and speaker grill on the top, the three capacitive Android buttons on and an extra 6 mm of aluminium at the bottom of the device! Absolutely genius! Part 3: What’s inside the Zenfone 6? If there is something totally different with the Zenfone 6, it’s its processor. Asus has powered the flagship device with an Intel Atom Z2580 processor clocked at 2.0Ghz with 2Gb of Ram. And guess what? It works extremely well. Browsing the internet is extremely fast, opening apps is lag free and navigation through the ZEN UI is fast and fluid. There is also an extra bonus: the Zenfone 6 doesn’t get hot! I read some reviews that claim the Zenfone 6 can get hot but I used it intensely for 2 weeks and I didn’t experience any of this. It is obvious that the Intel processor is working well and it is perfectly well optimised to work with the ZEN UI. I have to say, at first I had a lot of doubts about the processor, but not anymore. I don’t really play heavy games with smartphones, but I have seen video reviews about the Zenfone 6 and it looks like it handles heavy games well. For the price of this phablet (under £250) the performance is truly excellent. With Android you have two choices: Pure Android with Nexus devices, or an endless list of UI developed by manufacturers. We all know Touchwiz for Samsung (millions of users love Touchwiz and probably millions of others hates it). There is the Lenovo UI which looks cartoonist, the stylish Sony UI and minimalist HTC sense (loved by millions). Then Asus has decided to launch the new ZEN UI. Asus’s motto is: “Turn complexity into simplicity”. I have to admit that since I used the Zenfone 6 I am a new fan of the Zen UI. I really like the interface. It is minimalist, stylish, fast, doesn’t lag and has some nice tweaks. One of the great features is the Asus What’s Next. Basically your phablet always informs you of your next important task or event to do. It works very well and it is integrated within a wide range of apps. Of course, as many manufacturers, Asus has created some apps that have limited functions because they only work between Asus smartphones (share link and party link apps for example). The overall look of the UI is very stylish with nice icon designs. The notification center is very nice too and can be accessed by pulling down the left side of the screen (right side is for settings). In general I am not a fan of all the extra bloatwares and heavy skins added by the manufacturer, but I really enjoyed my time with the Zen UI. I used Samsung, Sony, HTC, Motorola in the past and the new Zen UI is one of my favourites. Of course it all depends on taste, but it is hard to find a minimalistic UI that doesn’t affect performances with some great extra features. We are living in a world of huge ppi (pixels per inch), HD and quad HD screens, so launching a 6” Phablet with only a 720p display doesn't look like a clever move from Asus, at least on paper. The good news though is that the display is great, vibrant, with an excellent viewing angle. Watching Amazon Prime, Netflix or Hulu is a joy with this display. Outdoor use is not that great though. The screen has some limitations when you are outside, but we are talking about a phone that costs £250 Sim Free. There is lot of marketing from Asus to promote the speaker quality and the new Sonic Master technology. Unfortunately, in my opinion it is only marketing because the speaker is okay but nothing more. This phablet deserves a powerful speaker and not a tiny sound. It’s a shame, and I wish the manufacturer had put more effort on that area because we are living in 2014 and stereo speakers are necessary. The sound quality is not bad at all, but nothing that I expected after reading and watching all the Asus Marketing. In an era of powerful smartphones, the camera is very important because more and more we are using our phone as our main camera. I was very excited to try the camera of the new Zenfone 6. On paper it looks good: it has a new technology ‘Pixel Master’, a 13mp rear camera and plenty of great features. In reality it is a bit disappointing. It’s not a bad camera, it’s a bit like the famous Whitney Houston song “It’s not right but it’s okay”! There are some great features like Selfie (you take selfies with the rear camera), miniature, panorama. The low light feature works well but the resolution is only 3mp (for low light)! Auto mode is automatically set up at 10MP or 13MP for 4:3 pictures. Quality is okay on very good lighting conditions, but some pictures show a bit of a yellow. I read some reviews that claim the”yellow effect” was common to the Zenfone 5 but gone with the Zenfone 6. Maybe I had a wrong unit? I was very disappointed with the HDR too. Below are some pics that I took this month. The video recording is actually OK, but nothing amazing. I honestly expected much more from a 13MP camera. Asus has to improve this aspect on future smartphones. Two days ago I received an update to Android Kit Kat and the camera is still the same...sadly! Since the Galaxy Note II, I haven’t been very excited with Android phones. I have had some great experiences, some just ok and in some cases pretty bad. But I have to admit that I really had a great time with the Zenfone 6. I really enjoyed the phone. In my opinion you get a lot for £250. I also really liked what Asus has done with the Zen UI. It is clean, minimalist, lag free, works fine and the What’s Next feature is great. The build quality, design, style and display of the Asus phablet is fantastic. Unfortunately the Camera is not what I expected. I can’t wait to read more reviews to see if it was my unit or if there is a software update available. However I still recommend this phone because it is really outstanding on so many levels. This is one of the most affordable phablets and probably one of the best mid range Android Phones. Not so easy to insert Micro Sim Card! Thanks for reading, sharing and commenting! 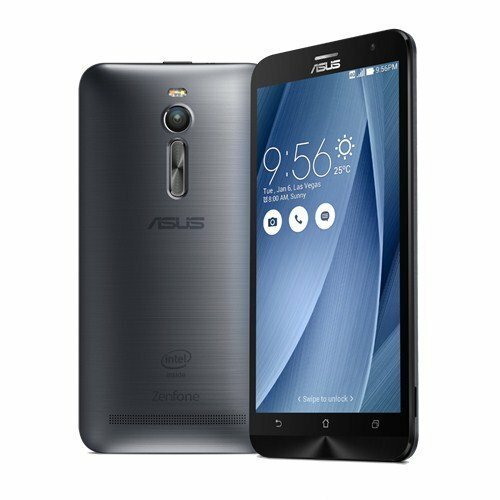 If you are looking for a “big” phone but don’t want or can’t afford a Galaxy Note 4, Nexus 6, Lumia 1520...the Asus Zenfone 6 is the right choice for you. Well done Asus, I give you a 4.5/5, but please improve the camera…!